The largest airline in the world by number of destinations served, United operates flights to 235 domestic and 138 international cities in 60 countries around the world. It’s headquartered in Chicago’s Willis (formerly Sears) Tower, and flies out of hubs in Chicago, Houston, Newark, Denver, San Francisco, Washington, D.C., Los Angeles, Guam, and Tokyo. Its largest passenger hub is in Houston (with an average of 45,413 travelers daily), but O’Hare hosts the most daily United departures. Aviator Walter Varney his eponymous airline in 1926 to fly mail to and from Washington, Idaho, and Nevada. Varney Air Lines was bought in 1930 by aviation pioneer William Boeing of Boeing Air Transport. (Varney would later go on to found Varney Speed Lines in 1934, which eventually became Continental Airlines.) Boeing Air Transport also transported mail, from Chicago to San Francisco. 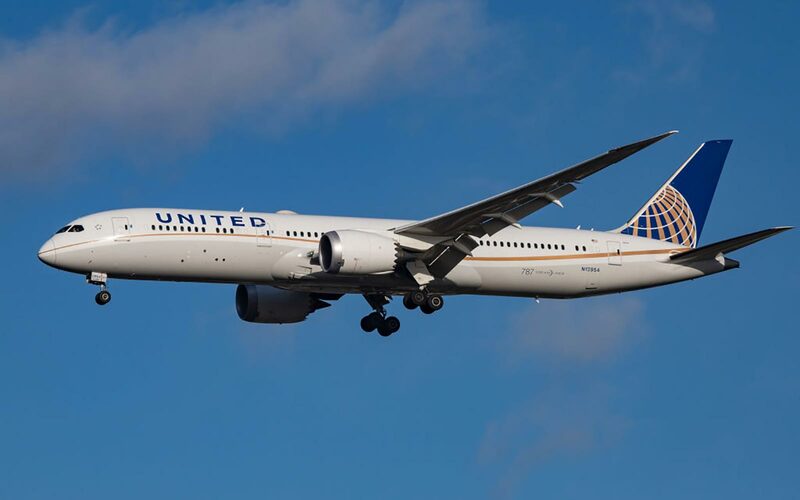 Boeing renamed his new conglomeration United Aircraft and Transport, having also bought a number of equipment manufacturers and other small airlines. After the passage of the Air Mail Act in 1934, this newly formed company split yet again, into airplane manufactures United Aircraft and Boeing Airplane Company, and the passenger and cargo service United Air Lines. United began flying the first all-metal airliner, the Boeing 247, in 1933. It was also the first airline, in 1954, to purchase modern flight simulators for pilot training. In a 1994 contract negotiation, United’s pilots, machinists, bag handlers, and non-contract employees traded salary concessions for 55 percent of the company’s stock, making it the largest employee-owned corporation in the world. United filed for bankruptcy in 2002 and merged with Continental in 2010, a fitting move in light of their shared, if distant, origins. United cofounded the Star Alliance in 1997 with Scandinavian Airlines, Thai Airways, Air Canada, and Lufthansa. Its 27 members collectively operate a fleet of more than 4.6 thousand planes that serve over 1.3 thousand airports in nearly 200 countries. The alliance carries some 640 million passengers per year with more than 18,500 daily departures. Today, Star Alliance includes Adria Airways, Aegean Airlines, Air China, Air India, Air New Zealand, All Nippon Airways, Asiana Airlines, Austrian Airlines, Avianca, Brussels Airlines, Copa Airlines, Croatia Airlines, EgyptAir, Ethiopian Airlines, EVA Air, LOT Polish Airlines, Shenzhen Airlines, Singapore Airlines, South African Airways, Swiss International Air Lines, TAP Portugal, Thai Airways, and Turkish Airlines. United’s frequent flyer program is MileagePlus, and includes such perks as the opportunity to purchase in-flight Wi-Fi using miles.